Enjoy Golf on your vacation! See the green grasses next to the blue skies and water! 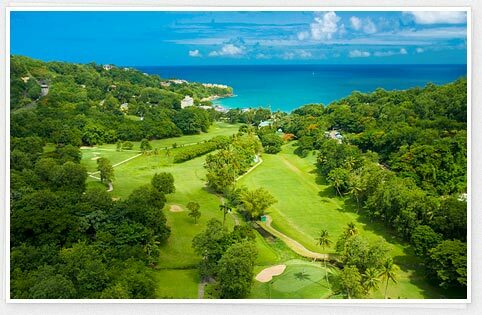 Sandals includes some of the most challenging and prestigious golf courses in Jamaica, St. Lucia and the Bahamas. We’ve got everything down to a tee for every level of skill, even for those who want to take their first shot at it. Best of all, golf at Sandals is free, with all green fees* included. Any way you slice it, no other resorts give you more. Please feel free to give us a call at 336-525-9331 or email us at Veronica@behindthescenesinc.com with any questions!